Invade Real Life at EXTRACT/INSERT this week! We avatars often struggle to explain our existence to those that dwell only in the physical world. But now, a new exhibit at LEA 24 helps us do what we aliens do best: INVADE! EXTRACT/INSERT is a unique installation in both Second Life and at the Herbert Art Gallery in Coventry, UK. It is a collaborative effort between internationally renowned performance artist Stelarc, lecturer and actor Joff Chafer and artist and technologist Ian Upton. 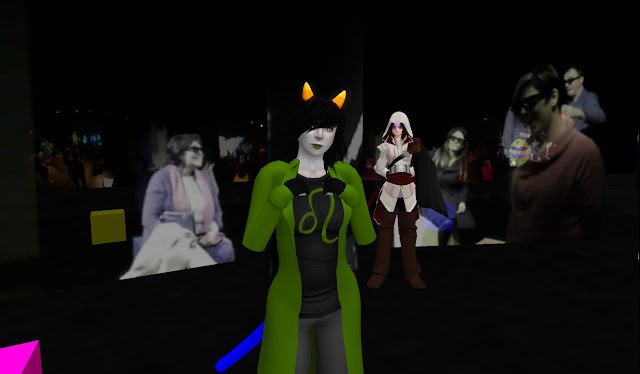 With support in SL from the LEA, and in RL from the Arts Council of England, they have been able to create an environment where avatars can co-mingle with real people visiting the Herbert! 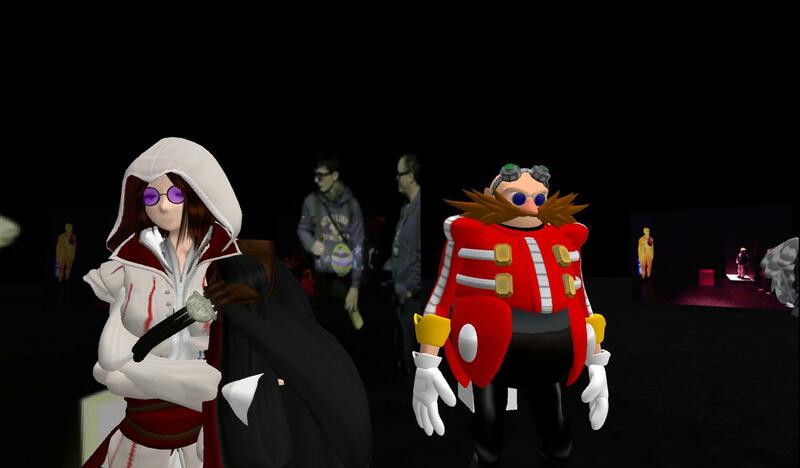 To experience the work you will need a Second Life Client capable of displaying ‘shared media’ (V3 recommended). You will be able to communicate with the physical world using ‘voice chat’. Text chat and avatar names are not visible in the physical installation. The Herbert is rated ‘general’. The physical audience can include children. We ask you dress and moderate behaviour accordingly. To access the ‘live area’ you will need to apply for membership of the EXTRACT / INSERT group. Please contact Ian Pahute or Joff Fassnacht in world for details of being part of this experience. This is a very fun, and dare I say historic, exhibition – do join in the fun! And if you live in the Coventry area, you should make plans to see it from the ‘other’ side! In fact, rumour has it yours truly might be visiting alongside a certain Cheeky-Pea-like creator next weekend… The live exhibit will close 25 November. Previous Post: Designing Worlds has an explosive show! Next Post: While waiting for the new episode of The Blackened Mirror – why not have fun in The Garden?